There has been much coverage recently in the news that sugar in our diet is now regarded as major contributor to obesity, diabetes and heart disease. It is important to be aware of how much sugar there is in our food. Click here to see a BBC article. As 2014 unfolds many of us will be trying to lose those few pounds we gained over the Christmas period. The key to losing weight is balanced, portion controlled meals, less snacking between meals, and generally including more vegetables in our diets. It is so easy to substitute fruit and fruit products for cakes, biscuits and chocolates. Please remember that all fruit, fruit juices, dried fruit, fruit yoghurts will have moderate to high levels of sugar and therefore calories. These sugars will also increase your risk of tooth decay. Remember the ‘five-a-day’ includes vegetables, which are lower in sugar, high in fibre and full of vitamins and nutrients. If you find it difficult to give up sugar, try natural alternatives such as xylitol. Xylitol is naturally produced by plants, has 40% of the calories of sugar and has even been shown to reduce the number of bacteria in our mouths and therefore prevent tooth decay and gum disease. Xylitol cannot be digested by mouth bacteria and therefore completely tooth friendly. In addition xylitol has a low glycaemic index (GI) of 7 compared with sugar (GI 80) and glucose (GI 100). The glycaemic index gives us an idea of which foods raise our blood glucose fastest and highest. 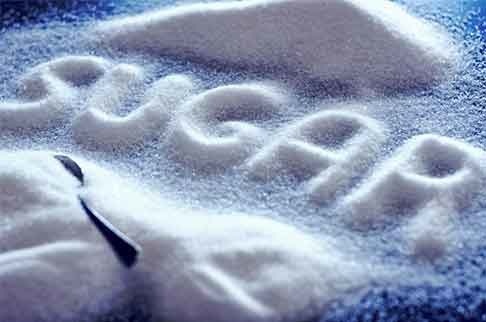 This means that by using xylitol instead of sugar, you are reducing the chances of developing diabetes, heart problems and tooth decay. Click here to find out more about xylitol. The main cause of tooth decay is the frequent consumption of sugary foods, drinks and sweets. The bacteria in your mouth thrive on sugar. As they digest it they produce an acid, which eats away at the enamel, eventually leading to the development of cavities, or caries. The bacteria will produce this acid every time you have something sugary or sweet and the acid can remain in your mouth for up to two hours before it’s neutralised by your saliva. So if you eat and drink sweet things regularly throughout the day, your saliva won’t have enough time to neutralise the acid and gradually tooth decay will set in. In fact tooth decay is surprisingly easy to prevent. Just try and stick to three healthy meals a day and clean your teeth thoroughly at least twice a day, including before going to bed. People who are prone to tooth decay can benefit from using a special fluoride mouth rinse, which has been shown to strengthen teeth. If you’re out and about and can’t clean your teeth, chewing sugar-free gum will help to clear away food debris and increase the flow of saliva, helping to neutralise the plaque acid. However, chewing gum should not be substituted for brushing your teeth. If you enjoy sugary or sweet foods or drinks, have them as a part of your meal or straight after, but ideally not just before going to bed. Too much fruit can be bad for your teeth. Click here to read a recent article. 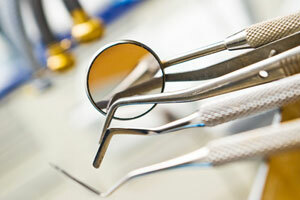 If you follow these tips and visit your dentist regularly for check-ups you should be able to keep tooth decay at bay.